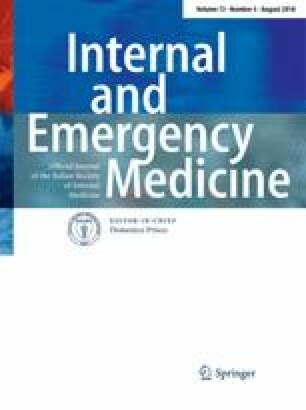 Emergency physicians must be able to effectively prognosticate outcomes for patients presenting to the Emergency Department (ED) with chest pain. The HEART score offers a prognostication tool, but external validation studies are limited. We conducted an external retrospective validation study of the HEART score among ED patients presenting to our ED with chest pain from 1 January 2014 to 9 June 2014. We utilized chart review methodology to abstract data from each patient’s electronic medical record. We collected data relevant to each of the five elements of the HEART score: history, electrocardiogram (ECG) interpretation, patient age, patient risk factors, and troponin levels. We calculated the diagnostic accuracy of the HEART score (0–10) for predicting the primary outcome of major adverse cardiac events (MACE) over 6 weeks following the ED visit (coronary revascularization, myocardial infarction, or mortality). We randomly selected 10% of patient charts from which a second investigator abstracted all data to assess inter-rater reliability for all study variables. Of 625 charts reviewed, we abstracted data on 417 (66.7%) consecutive patients meeting study inclusion criteria. Thirty-one (7.4%) of these patients experienced 6-week MACE. We observed no instances of MACE within 6 weeks among subjects with a HEART score of 3 or less. The area under the receiver operator curve (AUROC) is 0.885 (95% confidence interval 0.838–0.931). Patients with a HEART score ≤3 are at low risk for 6-week MACE. Hence, these patients may be candidates for outpatient follow-up instead of inpatient admission for cardiac risk stratification. The view(s) expressed herein are those of the author(s) and do not reflect the official policy or position of Brooke Army Medical Center, the US Army Medical Department, the US Army Office of the Surgeon General, the Department of the Army, the Department of Defense, or the US Government. For this type of study formal consent was not required. This article does not contain any studies with animals performed by any of the authors. Informed consent was waived at our institution due to the chart review nature of the study. This document comprises the study manual for the study entitled “Chest Pain in the Emergency Department: An Ambispective Cohort Validation of the Heart Score.” This is an ambispective cohort (chart review) study of adults presenting to the ED with chief complaint of chest pain, chest pressure, chest tightness, etc. This document is designed to serve as a guide for data abstractors in completing the chart reviews to ensure uniform methods for data collection and entry into the study spreadsheet. Subjects eligible for the chart review will be identified by the principal and co-investigators through accessing ad hoc CHCS reports. Our local Essentris Administrator, Mr. Eric Hobbs, will write a program to directly abstract as much information as possible from the Essentris ED Nursing Note. The variables abstracted by Mr. Hobbs program represent the first 30 data points on the data collection spreadsheet. Individual abstractors will gather the rest of the information for each subject from HAIMS and AHLTA. When needed, they may also access Essentris to review an admission History and Physical or a Discharge Summary. To clarify, information from this study will be gathered from four different Electronic Medical Records: CHCS, Essentris, HAIMS, and AHLTA. All four of these programs are well known to providers working within the military health care system. All subjects eligible for inclusion in the study will then be assigned a unique study identification number starting with 1 and sequentially added until the study numbers are obtained. Subject social security numbers and medical record numbers will be recorded and affiliated with each unique study identification number and maintained in the identification spreadsheet (separate from the study spreadsheet). The medical record numbers will be temporarily provided to the chart abstractors for chart retrieval and data abstraction into the study spreadsheet (see the following section). Chart abstractors will receive a formal walk-through of chart abstraction. They will further be provided a copy of this study manual for reference during data abstraction. No less than 10% of charts will be abstracted by either Matthew Streitz or Joshua Oliver for the purpose of quality control and calculation of kappa coefficient. Under each variable, there is a subheading of “possible variables”. With the exception of the data abstracted by Mr. Hobbs program, these variables represent the options listed in the dropdown menu for each variable in the data collection spreadsheet. Overwhelmingly, these variables are a reflection of the possible options to circle on the T sheets that our institution used at the time of this study. Update: As of 29NOV2016, two additional variables were also added to the prospective data sheet. Follow-up with the HEART score clinic (yes, no) and if yes, how many days were followed from the initial ED visit. These variables were added before prospective data collection started. They were not initially included in the retrospective cohort as our institution was not using the HEART score at that time and the HEART score clinic did not exist as a possible follow-up option for low-risk chest pain patients that were discharged. Definition: unique identification number assigned to subject as part of the subject selection process as above. Possible variables: sequentially increasing by unit of 1. Format: DD-MMM-YY (e.g., January 1st, 2013 = 01-Jan-13). Definition: date of subject arrival in emergency department (not date of admission). Possible variables: data extracted from ED nursing note by a program written by our local Essentris administrator Mr. Eric Hobbs. Format: ratio (integer in years). Definition: subject age at the time of arrival in emergency department (auto-populated fields report subject’s age at the current date and, therefore, cannot be used; parameter must be calculated based on date of birth and date of presentation). Alternative source: ED daily nursing spreadsheet—admissions tab (column D). Format: nominal (1, 2, 3, 4, and 5). Definition: triage category based on subject’s anticipated health care problems and estimated amount of resources their care will consume. Alternative source: ED daily nursing spreadsheet—admissions tab (column E). Definition: arrival to ED via emergency medical services (ambulance or fire engine). Field: history obtained from or screening RN assessment. Format: nominal (chest pain and shortness of breath). Definition: concise statement describing a subject’s primary problem. Definition: this question is asking if the subject has high cholesterol. If the ED nursing note or T-sheet indicates a history of high cholesterol, then this data point will be answered “yes”. Field: HPI or PMH narrative. Definition: this question is asking if the subject has high blood pressure. Variable: history of diabetes mellitus. Definition: this question is asking if the subject has Diabetes regardless of type. Variable: history of myocardial infarction. Definition: has the subject ever had an MI, i.e., heart attack before. Definition: has the subject ever had surgery such as CABG to re-vascularize ischemic myocardium or return blood supply to dying heart. Definition: has the subject ever had a stent to re-vascularize ischemic myocardium or return blood supply to dying heart. Variable: history of cerebral vascular accident. Definition: has the subject ever had a stroke or Transient Ischemic Attach (TIA). Variable: history of congestive heart failure (CHF). Definition: does the subject have a history of congestive heart failure (CHF). Variable: family history of coronary artery disease. Definition: this question is asking if the subject has a family history of coronary artery disease. Field: social or family history. Field: HPI or family history narrative. Format: ratio (integer in beats per minute). Definition: value of heart rate taken as part of initial vital signs. Variable: first systolic blood pressure. Format: ratio (integer in mm Hg). Definition: value of systolic blood pressure taken as part of initial vital signs. Variable: first diastolic blood pressure. Definition: value of diastolic blood pressure taken as part of initial vital signs. Definition: value of temperature taken as part of initial vital signs. Variable: source for first temperature. Format: nominal: A (axillary), O (oral), R (rectal), and T (temporal). Format: ratio (integer in breaths per minute). Definition: value of respiratory rate taken as part of initial vital signs. Definition: value of oxygen saturation taken as part of initial vital signs. Definition: subject’s subjective self-assessment of pain on a scale of 1–10. Format: interval (1, 2, 3, 4, and 5). Definition: measurement of first blood glucose. Document: lab result under flowsheet dropdown menu. Document: LAB results under RCR menu, select renal function panel, or complete metabolic panel. Definition: an enzyme released by the ventricles of the heart in response to stretching. It is used to assess and trend congestive heart failure. Document: lab results under RCR tab. Definition: troponin is a protein involved in muscle contraction that is released into the blood stream when muscle is injured. This troponin is specific to myocardium (heart muscle). This value represents the first troponin measured while evaluating a subject for Chest Pain. Variable: time at which the first troponin is drawn/sent to lab. Definition: the time that the first troponin is ordered is important to know to track the time between the first and delta troponin. Definition: See definition of “1st Trop”. This will be the second troponin value ordered in the ED. It will usually be drawn about 3 h after the initial, however, records the value regardless. This is sometimes referred to as a delta troponin in the ED. Variable: time at which the second troponin is drawn/sent to lab. Definition: the time that the second troponin is ordered is important to know to track the time between the first and delta troponin. Definition: creatinine is a breakdown product of muscle and is used to assess kidney function as it is produced at a relatively constant rate and excreted in the urine unchanged. Document: after selecting RCR on the main menu, select LAB, then RFP or CMP for date of the ED visit. Definition: name of abstractor—Mike April, Matt Streitz, Joshua Oliver, Jessica Zack, Richard Wood, and Yevgeniy Maksimenko. Possible variables: Mike April, Matt Streitz, Joshua Oliver, Jessica Zack, Richard Wood, and Yevgeniy Maksimenko. Format: nominal: assist (assisted living facility), home, nursing (nursing facility), and rehab (rehabilitation facility). Definition: subject’s place of primary residence at the time of emergency department arrival. Field: history narrative (section on social history). Definition: transfer from another hospital. Not a long-term care facility as in item 7. Field: history narrative (history of the present illness). Definition: patient was admitted to SAMMC (has Discharge Summary in Essentris). Database: first line for looking up patients. Document: first line for looking up patients. Field: column E: HOSPNO. If the hospital number is the same as the ED_REGNO, the subject was discharged. If they were admitted, they would have been given a unique hospital number (HOSPNO) that differs from their ED registration number (ED_REGNO). Document: ED nursing note and discharge summary. Field: “history obtained from” or “screening RN assessment”. Format: ordinal (ratio) 1.5, 24, and 96. Definition: the amount of time subject has been having symptoms measured in hours. Format: nominal (yes, no, better, worse, and other). Definition: the following variables between 37 and 43 are related to the timing of chest pain such as sudden onset, still present, or intermittent episodes. The variable to be entered will be binary such as yes/no or better/worse. The exception will be “other” allowing a free text descriptor to be entered. Of note, these variables are characterizing the subjects HPI not reassessments of interventions. For example, the “better/worse” variable is assessing if the subject feels better or worse at initial presentation to the ED than they did at the onset of their symptoms. Further variables such as “constant” and waxing/waning” assess if the symptoms are constant or intermittent and if the symptoms are increasing or decreasing. It may helpful to reference a T-sheet to better understand how these data will abstracted. T-sheets can be found on the L drive; detailed instructions leading you to their location can be found at the end of this document. Possible variables: yes, no, or free text entry under “other”. Format: nominal (sleep, rest, emotional upset, activity, exertion, etc.). Definition: the setting and activity level the subject was at the onset of symptoms. Possible variables: sleep, rest, emotional upset, activity/exertion, and recent flight. Format: nominal (pressure, tightness, like prior MI, etc.). Definition: this is the how a subject describes their chest pain in their own words. Possible variables: pressure, tightness, indigestion, burning, dull, aching, sharp, stabbing, like prior MI. Format: nominal (location such as head, neck, back, or no). Definition: this question is asking if the subject’s chest pain is radiating to another location. If yes, document the location. If no, document no. Possible variables: L arm, R arm, both arms, shoulder, back, jaw, and neck. Format: nominal (yes, no, fatigue). Definition: the variables 47–55 will fall into this category. 47–54 will be yes/no answers. If there is an associated symptom not listed, it can be free texted into “other”. A note about terminology. While it is understood that the proper medical term for chest pain with breathing is pleurisy, the data are being extracted from a T-sheet. The T-sheet uses the lay term, “hurts to breath”. It may helpful to reference a T-sheet to better understand how these data will abstracted. T-sheets can be found on the L drive, and detailed instructions leading you to their location can be found at the end of this document. Possible variables: for N/V, the variables will be nausea, vomiting, both, or neither. The remaining variables listed under this block are either yes or no. Format: nominal (exertion, deep breaths, change in position, movement, nothing, etc). Definition: factors that have made symptoms worse. Possible variables: nothing, deep breaths, movement, and change in position. Format: nominal (food, rest, antacids, change in position, nothing, etc). Definition: factors that have relieved the symptoms. Definition: this will be the staff ED physician’s interpretation or diagnosis of the ECG. A large but not all inclusive lists of ECG diagnoses and a link to example ECGs is provided in Appendix 1. It may be helpful to have this list printed out when abstracting data. Possible variables: ECGs were coded with a number ranging from 1 to 34 based on information that can be found on the last page of this document. Field: ECG checkboxes and narrative. Definition: has anyone in the subjects’ family been diagnosed with CAD? Field: family history of CAD. Variable: history of cigarette smoking. Definition: does the subject smoke. Variable: history of obesity or body mass index (BM(I) >30. Definition: is the subject obese? You are not expected to calculate this. If it is not listed or not already calculated, do not do so and leave black or enter unavailable. Definition: does the subject have a history of abnormal heart rhythms such atrial fibrillation (A-fib), atrial flutter, Wolff–Parkinson–White (WPW), or heart block? Definition: does the subject have a pacemaker? Field: past medical history or past surgical history. Variable: Hx of automated internal cardiac defibrillator. Definition: does the subject have an automated internal cardiac defibrillator (AICD)? Variable: primary chest X-ray diagnosis. Format: nominal (normal, pneumonia, pneumothorax, atelectasis, and effusion). Definition: the radiologist’s primary read of the chest X-ray. We freely admit that this is highly subjective and prone to bias. Unless a chest X-ray is completely normal, it rarely has only one finding. It will be up to the abstractor to decide which finding is primary unless it is made clear by the radiologist’s interpretation. Possible variables: no acute cardiopulmonary findings, PNA, PTX, Atelectasis, wide mediastinum, pleural effusion, MSK findings, and other findings. Document: portable chest X-ray from day of presentation. Variable: mortality within 6 weeks of ED presentation. Definition: did the subject die of any cause within 6 weeks of being seen in the ED? Field: any subject encounter after 6 weeks will answer this question. If this question cannot be answered, you will need to access public death records. To apply for said access, our local IRB will need to approve of our protocol as it stands. The process will be clarified as it is established. Variable: revascularization within 6 weeks of ED presentation. Definition: did the subject have a CABG or Stent placed within 6 weeks of being seen in the ED? Document: cardiology or CT surgery appointment. Document: SURG operative note, CT surgery POD, and Cath lab procedure note. Variable: myocardial infarction (MI) within 6 weeks of ED presentation. Definition: did the subject have an MI within 6 weeks of being seen in the ED? If unable to determine will be listed as missing data. Document: daily progress notes following admission. Field: any subject encounter after 6 weeks should answer this question. Variable: aspirin use within the last 24 h.
Definition: Aspirin within 24 h. This information can be found on the T-sheet in HAIMS. It is an option to circle under medications that reads “Aspirin within 24 h”. These data will be used to calculate a TIMI score. We acknowledge that in the original TIMI paper, the variable was aspirin within the last 7 days (refer to citation #13 in the protocol). However, for the purposes of this paper, if the chart indicated aspirin within 24 h, then “yes” will be entered as a data point. Field: screening: RN assessment or medications given. Field: all T-sheets have a place under medications, where aspirin can be circled. The T-sheets for chest pain, syncope, and CPR actually have “Aspririn within 24 h”. Variable: severe angina, 2 or more episodes w/n 24 h.
Definition: In the original TIMI paper, severe angina was described as 2 or more episodes of angina in 24 h (refer to citation #13 in the protocol). This will be difficult to assess directly on the chart review; however, there are many descriptors on the chest pain T-sheet that should allow us to approximate. One of the variables that can be circled is “intermittent”. This is a variable that is already being abstracted as part of this study. If the T-sheet in HAIMS indicates intermittent chest pain, we will conclude that the subject had at least two episodes of chest pain and meets the definition. Admittedly, if the chart indicates that symptoms started more than 24 h ago, we will have no way of knowing if the chart meets the 24 time constraint defined be TIMI. We freely admit that this is a limitation of our study. Document: ED nursing note, history, and physical. Field: screening RN assessment, history, and physical narrative. Variable: cardiac arrest on admission. Definition: was the subject without a pulse on arrival to the ER or was cardiopulmonary resuscitation (CPR) in progress on arrival? Field: if the title of the T-sheet is cardiopulmonary resuscitation, look no further. Otherwise, look under context or the narrative of the staff addendum. Definition: rales sound like crackles when auscultating lungs on a pulmonary exam. It is a sign of fluid overload or heart failure. Field: crackles listed under the pulmonary exam, and JVD listed under cardiac. Field: Rales under respirator, and JVD under neck. Definition: JVD is an abnormal distention of jugular veins in your neck. It is a sign of fluid or heart failure. Definition: cardiogenic shock will be defined as a systolic blood pressure of less than 90 mm mercury. This definition is taken from the 2014 AHA/ACC guidelines for the management of NSTEMI (refer to citation #12 in the protocol) which in turn references the SHOCK trial (refer to citation #14 in the protocol). While the SHOCK trial also used variables such as pulmonary wedge pressure and left ventricular ejection fraction, these variables would not be practical to include in a decision-making tool in the ED. They would also be very cumbersome to include on a chart review this large, if they were available at all. Document: ED nursing note, history and physical. Definition: did the patient follow-up in the HEART score clinic? Field: clinic name under the previous encounters tab in AHLTA. The HEART score clinic in AHLTA is called “specialty care clinic” in AHLTA. If a subject has: 1. been seen in the ED for a chief complaint of chest pain and 2. been discharged and then has a subsequent encounter in the 3. “specialty care clinic”, investigate further. This is most likely a HEART score clinic follow-up. Variable: days from the initial ED visit to follow-up. Format: continuous (1, 2, 3, 4, 5, 6…..). Definition: days to follow-up after being seen in ED for chest pain. Field: date, count the days from initial encounter. Consider the first recoded date. Use ED_Date in column B to make this calculation. The following ECG diagnoses are provided to help abstractors identify hand written diagnosis found on HAIMS database. This list was taken from the “ACC/AHA Clinical Competence Statement on Electrocardiography” published in the Journal of American College of Cardiology in 2001. As of the start of this study, this is their most recent update. The intention of said publication was to “Detail the minimum knowledge necessary to demonstrate competent 12 lead ECG interpretations.” At the top of the list, you will find a link to a website with an example of each ECG diagnosis listed. This research project is no way related and has no financial relationship to said website or the University of Utah School of Medicine. Normal ECG or normal sinus rhythm (NSR). Multifocal atrial rhythm or tachycardia (MAT). First degree atrio-ventricular (AV) block. Second degree type 1 AV block; aka Wenchebach; and aka Mobitz type 1. Complete bundle branch block (BBB). Left anterior fascicular block (LAFB). Left posterior fascicular block (LPFB). It may be easiest to walk down to the ED and pick up a physical copy of a T-sheet. A chest pain T-sheet can be found in any POD. An electronic copy can be found on the L drive. Step 5: select any T-sheet you want, but “33 Chest Pain” would be most helpful.